Welcome to the world of Spider Solitaire—one of the most beloved unblocked card games of all time. Forsbit LLC presents its version of the game with Spider Solitaire Classic. Experience the classic card game with a bunch of brand-new aesthetics that you won’t get to see in any other spider solitaire games. No heavy microtransactions here that will alter the game. All that’s in here is good clean fun. It’s yours for absolutely free! The rules haven’t changed; it’s still the same textbook game that you have always come to know and love. Stacking cards by order from King to Ace has never felt better than ever before thanks to its intuitive controls and easy-to-use interface! New to the game? Don’t worry, the game has a fully-detailed guide to get you going from beginning to end! 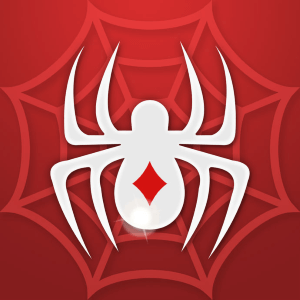 Spider Solitaire Classic features intuitive controls that let you take charge of the cards! You can drag them towards where you want them to be or just tap them to automatically go to the right spot. It’s just like magic! Animations are smooth and pleasing, making the game much livelier and even do a sort of card dance when you beat the game! 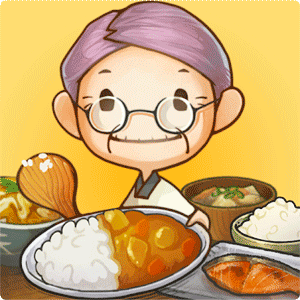 The game also features different customization options from card faces, card backs, and background. Choose from a variety of card faces starting from classic faces to the more modern types. Pick your favourite with card backs that have an assortment of themes from classic red, royal blue, golden back, moody purple, original spider, cutesy robot, pleasing abstract, vacation-inspired palm, and nature-loving bird. You get to choose your own difficulty level through the number of suits; 1 being the easiest, 2 for medium and 4 being the hardest. Other customizations include unrestricted deals and undo’s if you want a more realistic approach to the game, auto hints for when you’re stuck in the game and it highlights a free-to-move card, sound and animation toggle, card highlighting, a convenient left-handed mode for the southpaw players, time/moves toggle if you want to lessen the UI and an orientation whether portrait or landscape mode. Don’t you just hate it when you’re about to start the game only to be encountered with a 30-second ad? Or maybe once you jumble the cards, another ad shows up? Ads here are still visible on the free version however they’re only on the top part of the game, acting as a banner. It won’t even bother the player at all as the ads aren’t taking up a lot of the screen. See who’s the best of the best in Spider Solitaire by checking out the Leaderboard! Climb up the ranks with better scores! Do you have what it takes to be in the list of top players? According to the rules, King is the highest card while Ace is the least. The hierarchy of the game is from King, Queen, Jack, 10, 9 8, to 2 and then the Ace. When starting the game, do not make the draw yet. Analyze the face cards first and focus on the higher-ranked cards first. From there, just build on it as much as you can and only draw once you’ve finally run out of options. What you want to do now once you’re building up is to eliminate one column as much as you can. This is so that you can have more chances of getting the card that you want. If you can’t find it, at least you’ve eliminated one line of possible builds. Plus you get to have a free slot to put in any card that you think is out of place and couldn’t fit in with the rest of the builds. Spider Solitaire requires keen observation as well as effective tactics. You need to make sure the cards are secure enough before you continue to build on other lines. If you keep building and drawing facedown cards without knowing the consequences of the next 3 moves will be, you could be left with no more options. If you love Fun Games like this, be sure to check out other games like PAC-MAN and 8 Ball Pool! Download Spider Solitaire Classic on PC today! your Spider Solitaire Classic installation. I really enjoy playing this.